As temperatures in Rock Hill climb higher and higher this week, it’s hard to believe that school is just about to crank back up again. Here at Rock Hill Coca-Cola Bottling Company, we care deeply about the schools in our community and have always been active and avid supporters. With that in mind, check out these five tips for getting ready to head Back to School. Get That Summer Reading Done! Maybe the kids sat down in the first weeks of summer and diligently read the assigned books. Or maybe everyone has forgotten all about the required summer reading until this very moment! Yikes! Buckle down and get that summer reading done. Curling up with a book is one of the best ways to beat the oppressive summer heat anyway. You only have a couple of weeks, so you’d better do all that fun stuff you planned to do before school starts. Take a break from your summer reading, grab a Coke, and head out to do something exciting! Make every minute count. Summer days might not start until noon around your house. People stay up too late and sleep until late into the morning (if they don’t sleep until the afternoon!). Don’t wait until school starts to get on a healthier sleep schedule. Over the next couple of weeks, gradually push bedtime and wakeup time earlier. By the first day of school, the kids will be well-rested and raring to go, even with a crack-of-dawn start! Kids need a lot for a successful school year, and those costs can pile up. Save a bit on school supplies during this year’s Tax-Free Weekend. In South Carolina, 2017’s Tax-Free Weekend will run from Friday, August 4th through Sunday, August 8th. That’s only a couple of weeks away! Better start planning your purchases now. Double check those class lists. With all the running around trying to do everything before summer ends and all the running around that happens during the first days of school, moms can get worn to a frazzle pretty quickly. Stock up now on your favorite Coca-Cola products from Rock Hill Coca-Cola Bottling Company. Sometimes all you need is a quick, refreshing Coke to be able to carry on with your day. 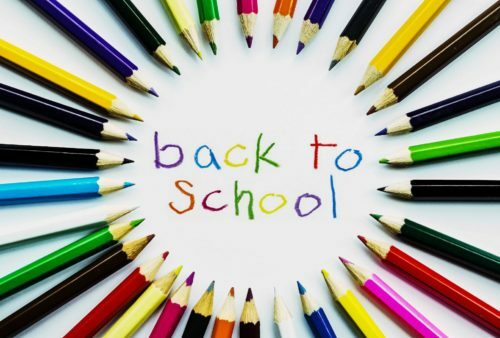 Rock Hill Coca-Cola Bottling Company hopes that your school year gets off to a great start and continues strong until next summer rolls around. How many more days until next summer break?